Prompted by the current explosion of interest in qualitative psychology, this book is written in a very accessible manner and is primarily intended as a textbook for undergraduates and postgraduates, though it will also be useful to more advanced researchers. 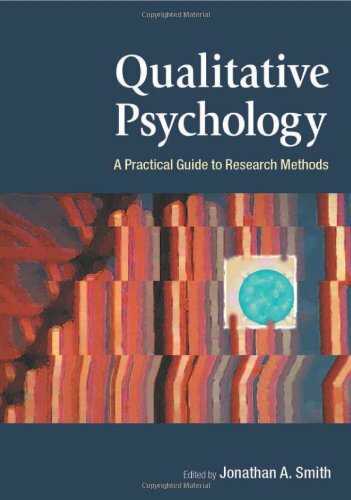 Qualitative Psychology covers all of the main qualitative approaches now used in psychology and each chapter offers the reader a step-by-step guide to carrying out research using that particular method with plenty of pedagogical advice. Jonathan A. Smith is Professor of Psychology at Birkbeck University of London, UK where he leads the interpretative phenomenological analysis (IPA) research group. He has written many articles applying IPA to a range of areas in health, clinical and social psychology. He is co- author (with Paul Flowers and Michael Larkin) of Interpretative Phenomenological Analysis: Theory, Method and Research (Sage, 2009). He also has a wider interest in qualitative psychology generally and has co-edited a number of books in the area.